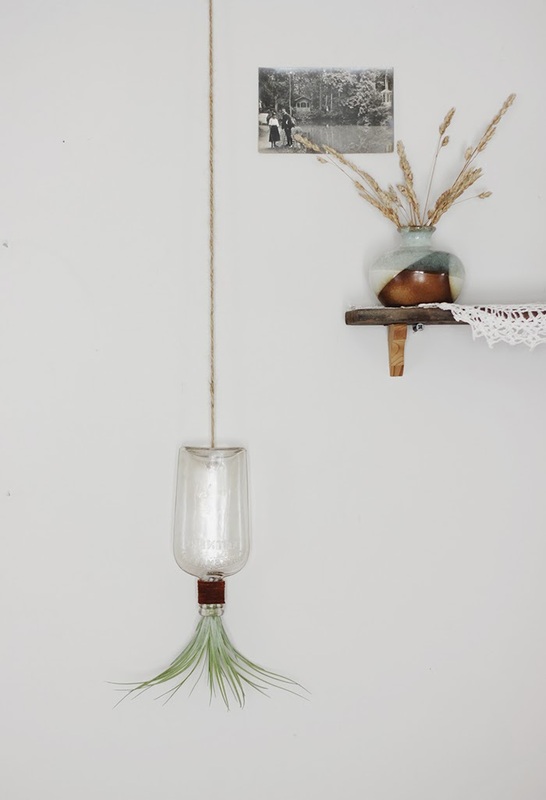 If you're anything like me, you probably have a mini collection of vintage bottles displayed throughout your house. 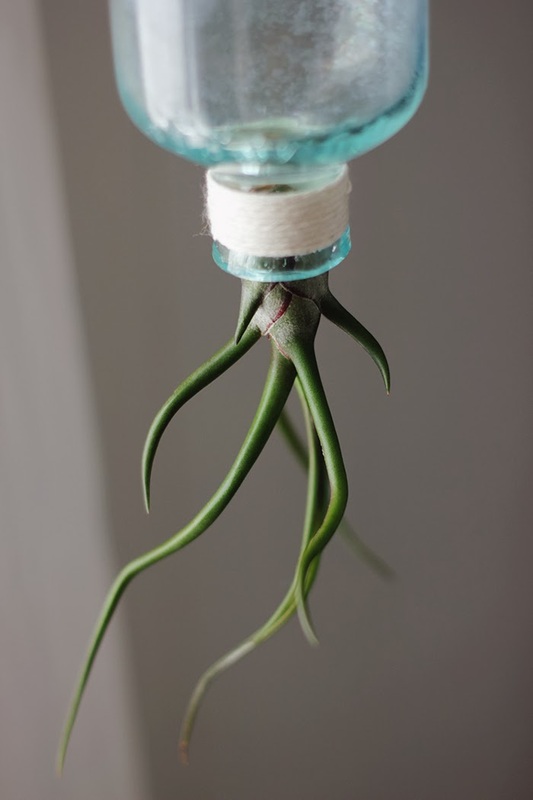 For today's DIY, grab one of those beauties and transform it into an upside down vase to house one of those air plants that you've been dying to buy! -Spray the bottom of your bottle with water and begin to slowly drill through the center of the bottle. 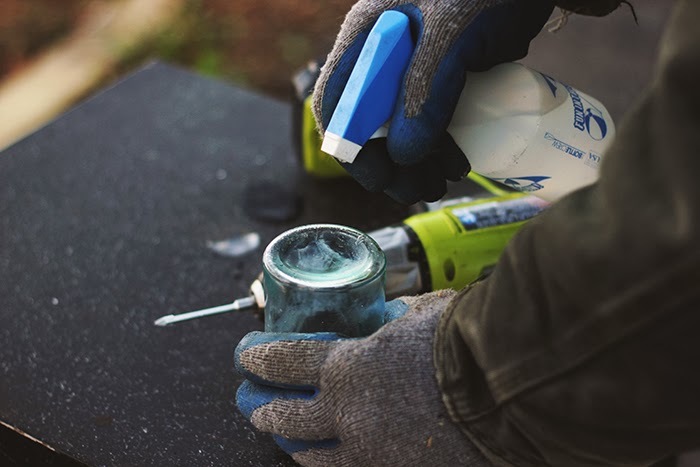 (Be sure to wear gloves and goggles while drilling glass.) 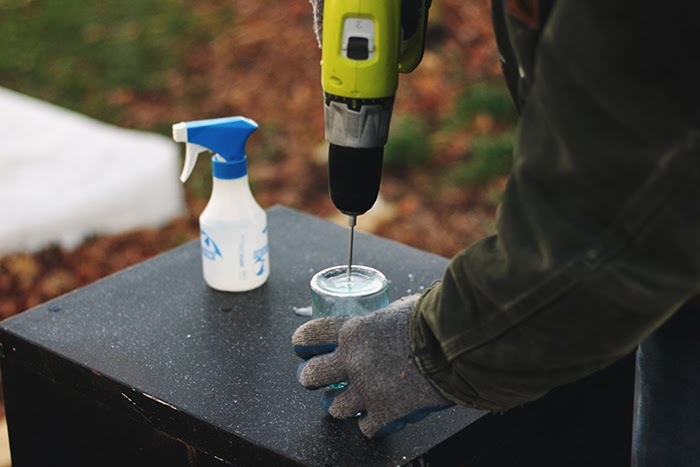 Continue to rinse off the bottle throughout the drilling process to wash out excess glass chips. 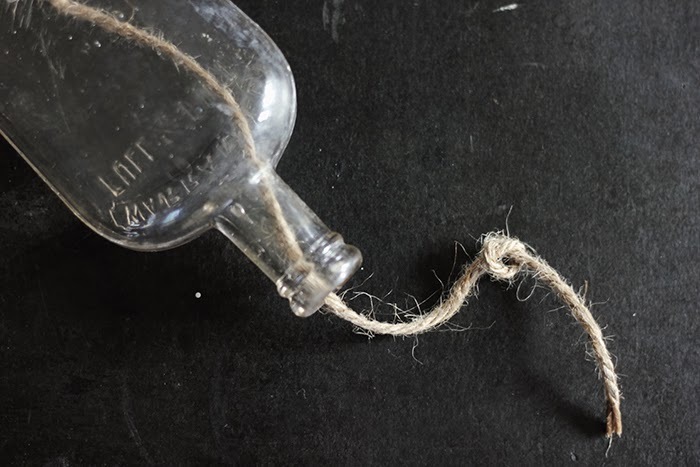 -Put your jute through the bottom of the bottle and down through the mouth of the bottle. Tie a secure knot in the jute - making sure that it's not too big to fit back through the mouth. 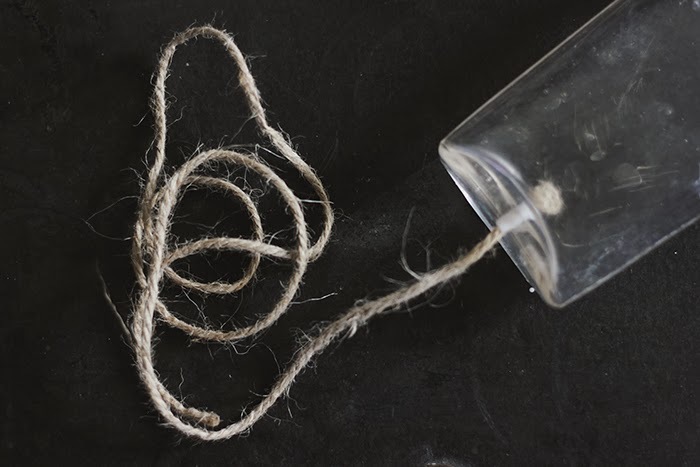 -Tie a loop in the other end of the jute to hang it from. 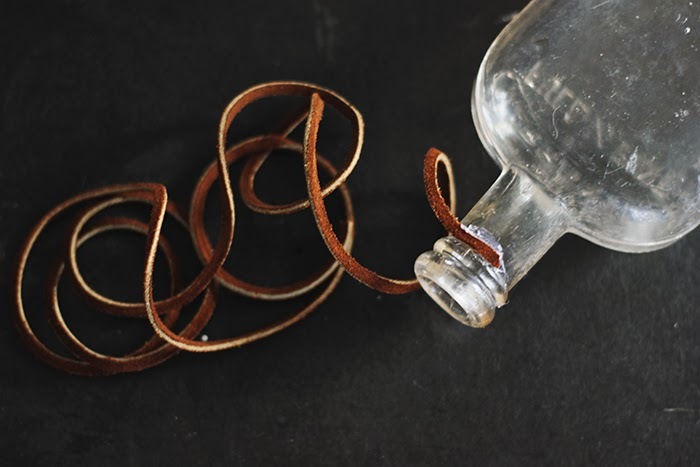 -Use a dab of hot glue and attach the leather lace to the bottle. 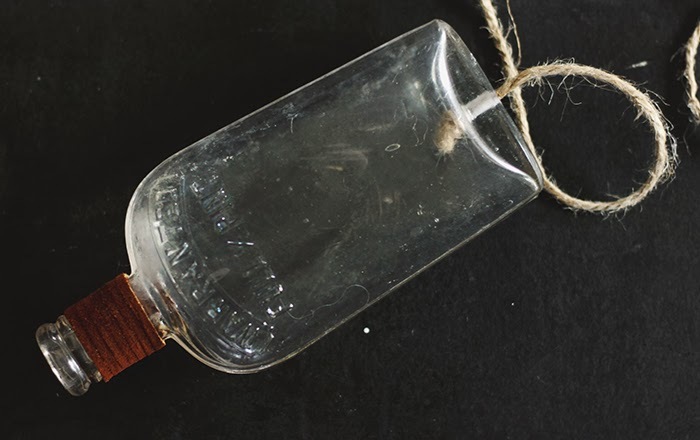 Wrap it around the neck of the bottle and use another dab of hot glue to secure the other end. 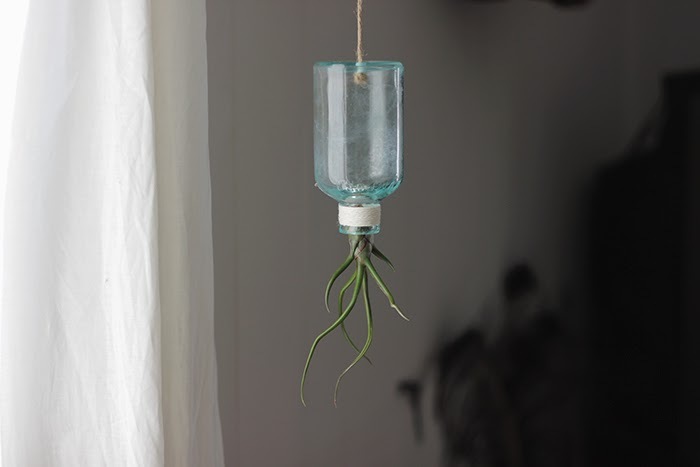 -Put your air plant in the bottle and hang it up! 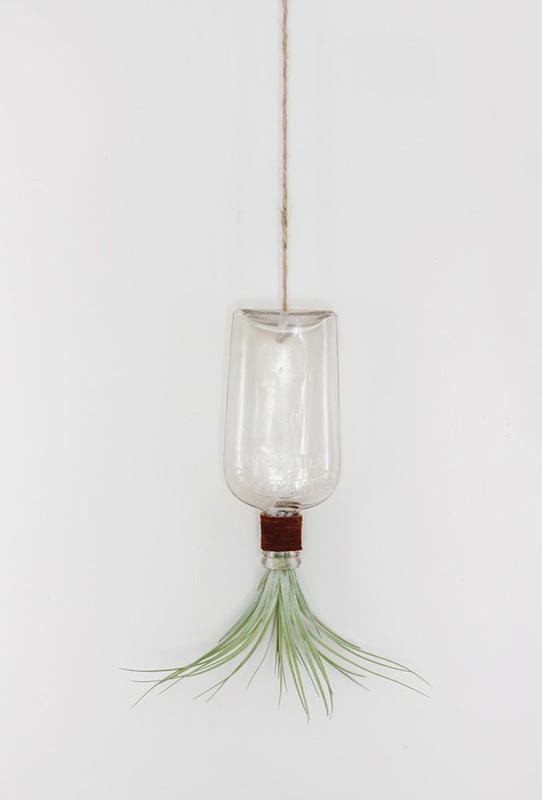 This would make the perfect gift for the plant lover in your life - and for those without a green thumb since air plants are so easy to take care of! 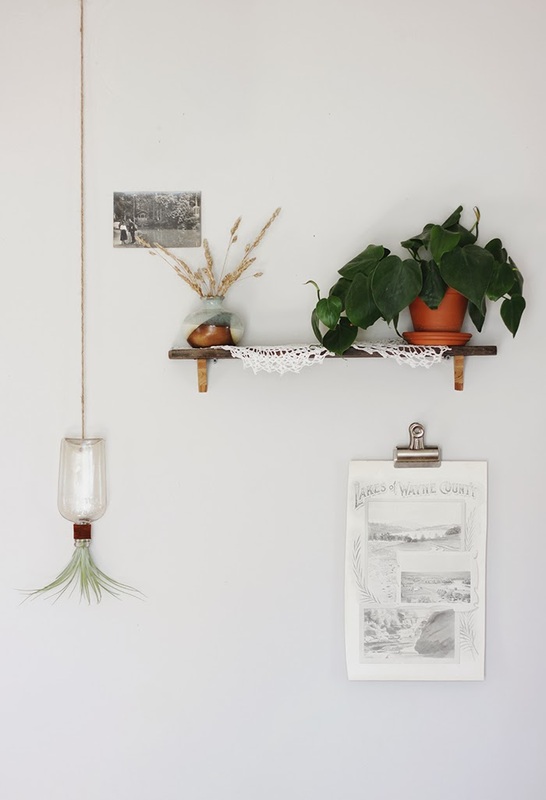 i've scoured many a pinterest boards/diy post, and haven't seen anything like this one! so charming. saved/pinned for future reference, thanks! Lyndsay - you HAVE to get one! it's the only plant i can keep alive!!!!! they're awesome. i just splash some water on them like once a week and they thrive? Thanks for the great post! Used this to hang a plant today. I used an old bourbon bottle with a thick bottom so it took me almost an hour with the drill. Totally worth it though! Unknown - cool! Send pics if you like!